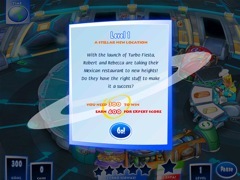 In Turbo Fiesta, Rebecca and Robert are taking their fast food empire to totally new heights. With personal space travel booming, business is about to skyrocket. 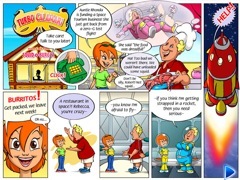 Turbo Fiesta proves that there's no place these two can't go to serve up a tasty treat. 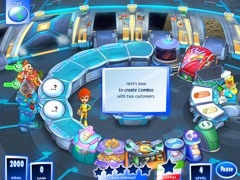 Never ones to shy away from unique settings and difficult customers, Rebecca and Robert must now serve patrons in multiple far-out locations filled with space cadets, astronauts and more. And just when business starts to go into orbit, they'll have to ward off the evil inter-galactic tycoon, Murdoch von Simoleon, who has summoned his twin spies to destroy them. 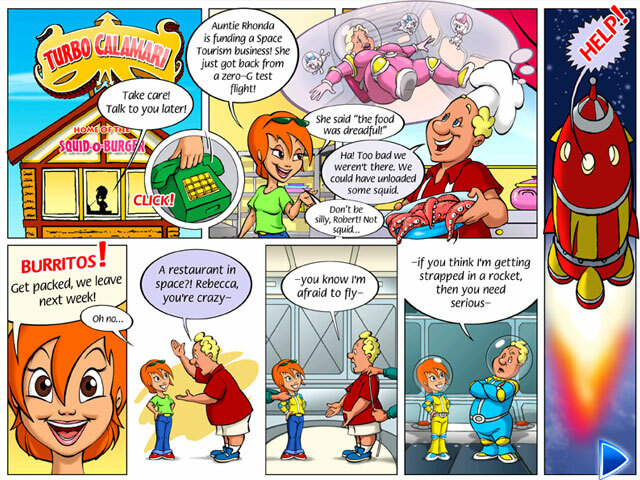 Will Rebecca and Robert succeed in their trek through outer space, or will their plans go supernova? Play Turbo Fiesta and find out!